Jane Austen's world of Regency music, manners and wit. Venue: Clifton Arts Precinct, 304-314 Church Street, Richmond, 3121. Time: 7:30pm performance followed by complimentary refreshments in the precinct Gallery. Transport: tram route 75 or 78 / free street parking from 5pm. "The program of songs and music was cleverly arranged, starting from the joy and innocence of young love, through the pain of parting from a lover and the continual striving for happiness through love. Soprano, Rada Tochalna, ... dispayed not only her fine voice but also her strong acting ability... One of the highlights of the concert was Lucas De Jong singing Why? ... Janis Cook played two piano solos superbly..."
Not only will you hear Rada, Lucas and Janis, but as a special treat on September 24, you can relish the sumptuous strains of Tchaikovsky's Andante cantabile performed by Joanna Tidy. Soprano, Rada Tochalna and baritone, Lucas de Jong are pictured during rehearsals. Interwoven with stories and poetry, narrated by the popular actress, Julie Nihill, Janis has curated a unique performance featuring music by French and British composers with MSO principals Andrew Macleod and Brock Imison on woodwind and herself at the keys of the beautiful Schimmel grand. This engaging program will be presented at Richmond Uniting Church, 314 Church Street, Richmond on Sunday, May 29 at 3pm. 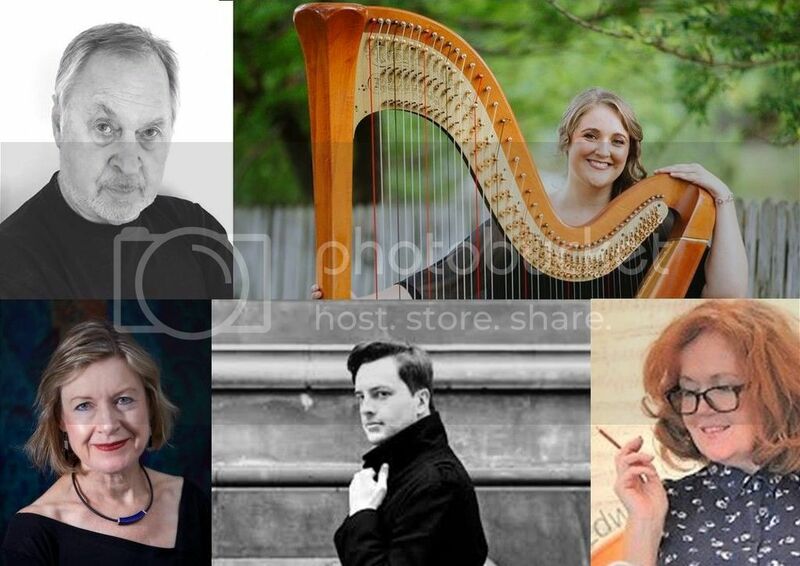 After the concert, share complimentary wine and nibbles with the performers and special guest, Bernard Blestel, author of Islands of Sunshine and Shadow.